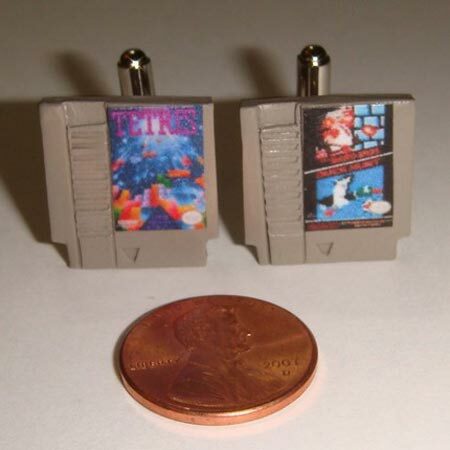 Check out these fun geeky cufflinks, the NES Cartridge Cufflinks. These fun cufflinks are handmade from clay by artist Laura Swingle, and there are quite a few versions to choose from. Some of the ones available are, Tetris, Super Mario Bros 3, Zelda, Metroid, Dr Mario, Teenage Mutant Ninja Turtles and lots more. 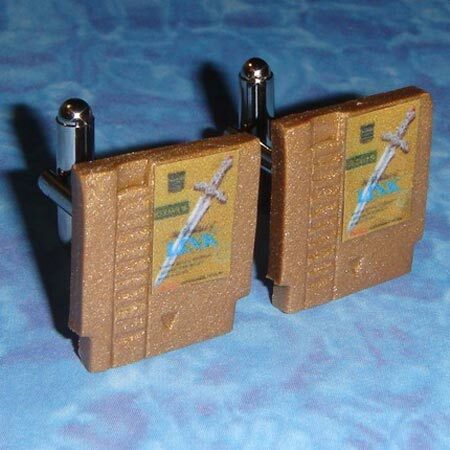 You can also have a custom pair made to your specification with any NES Catridge design you want. 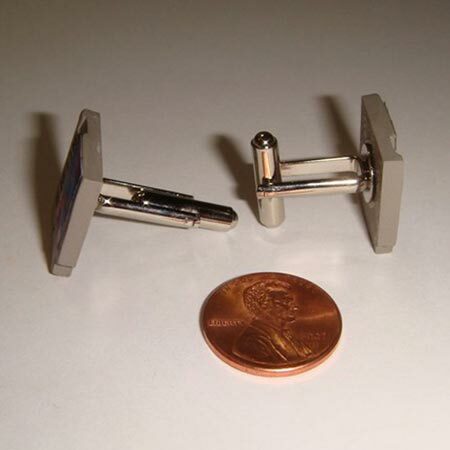 These fun geek cufflinks are available to buy online for $22 a set from The Clay Collection shop over at Etsy.